I turned sixty in December, a season in life when, for hobbies, a more sensible person might have turned to water colors or growing orchids. I have turned to Aerosmith, the Rolling Stones, Tom Petty, Credence, Pink Floyd and REO Speedwagon. I’m not talking about the oldies station on the radio, or air guitar when no one is looking or belting old rock anthems in the shower. Instead, every week, I haul my electric and acoustic guitars to a practice room at the School of Rock in Fort Worth and begin blasting away. Donahue...drummers are that way.Fortunately, I’m not the only one suffering from this post, post, post midlife crisis. 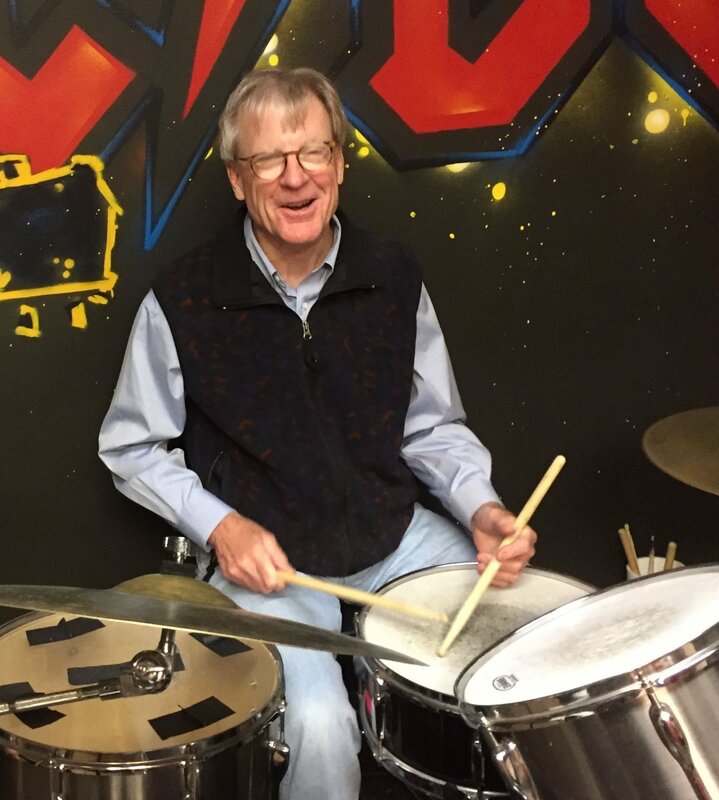 Dr. David Donahue, age sixty something, is an internationally known pediatric neurosurgeon by day, our drummer by night. Dave is typically late for rehearsals, showing up each week in a stretch limo and with full Kelly...channeling Jagger.entourage. Drummers, I guess, are that way. 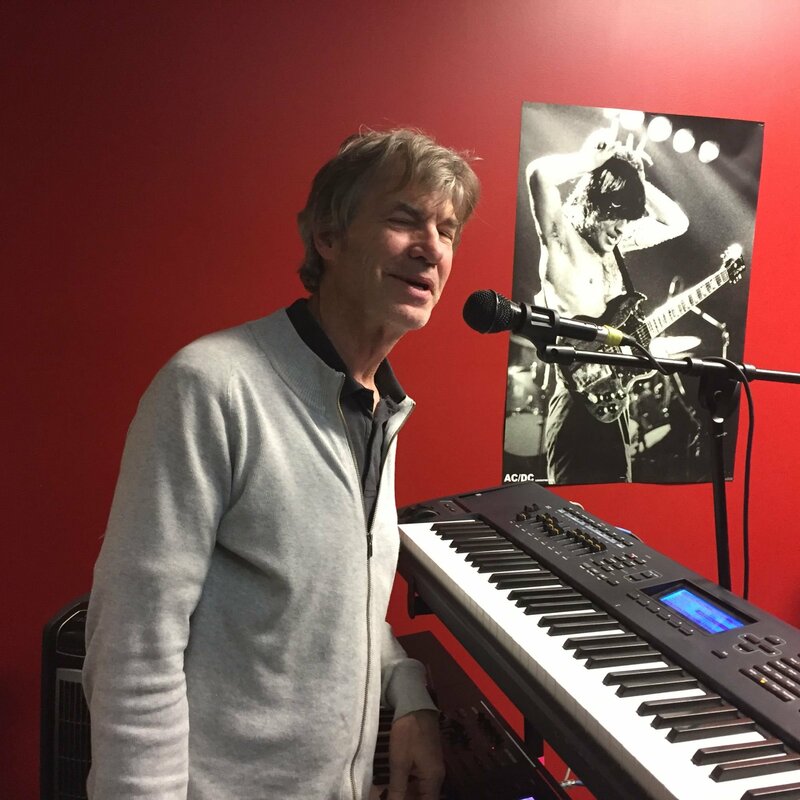 On keyboard and vocals is Gary Kelly, also aged sixty something. Gary is an old friend and veteran of some of our area’s top classic rock bands. He is totally slumming with us, but Gary shows up week after week mostly because we encourage him to channel his inner Mick Jagger. 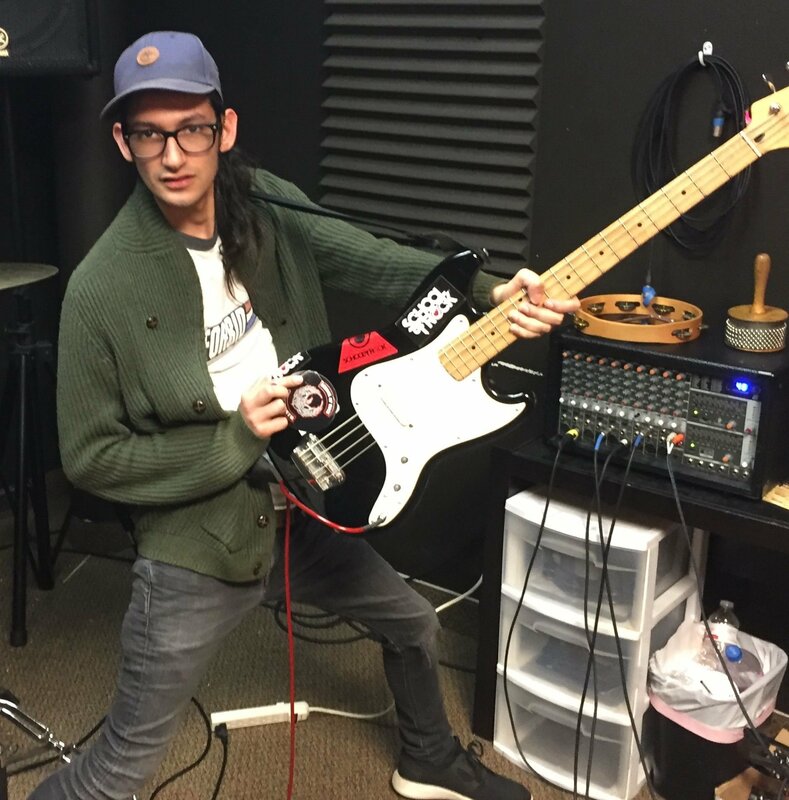 Joaquin Reyna is twenty-one, our ringer, the music director of the School of Rock who is a guitar savant with a very, very old musical soul. He seems greatly amused by guys who, for whatever reason, refuse to grow up. Reyna, guitar savant, amused by the oldsters. On those gloriously loud evenings at the School of Rock, we barrel through the music of our youth. As of now, we go by the name, Loved Starved Dogs, which was suggested by my wife and daughter, and inspired by our codependent puppy, Scuba. Other possible names—Grateful We’re Not Dead; Crosby, Stills, Nash and Not Young; and the Boobie Brothers, were considered and rejected. As I speak, Gary is composing our own original rock anthem titled…wait for it…Love Starved Dogs. You cringe. I mean, AC/DC, is on our set list, for crying out loud. Consider the lyrics to You Shook Me All Night Long, which I attempt to screech. Yet I do not apologize. Over the decades, I’ve tried to be a loving and responsible husband and father, a friend. I’ve worked hard to tame my many demons. Now, with a dwindling fraction of my life yet to live, perhaps I’m entitled to care less and less about what other people might think. It occurs to me that each week at the School of Rock I’m inoculating myself against regrets later, when I am indeed too old to hold a guitar. I’m living out loud, and I mean loud. I haven’t had this much fun since I quit coaching ice hockey. 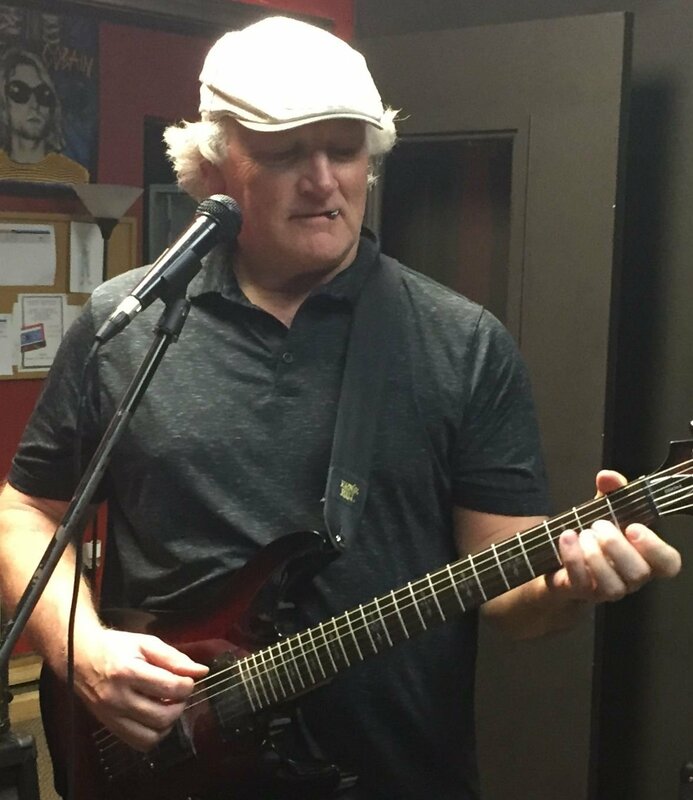 Madigan...AC/DC at a defiant sixty.I also spend many hours each week practicing guitar and I am trying to teach myself to sing. Our band will perform some day, coming to an arena, back yard or garage near you, but none of us want the Love Starved Dogs to be a shameless novelty act. Of course, this could all end in abysmal, embarrassing failure. Then again, I’ve suffered abysmal, embarrassing failures before and evidently they are not fatal. I’m still here. Let me suggest a greater failure—ignoring a passion and stifling a joy because a guy my age should be dabbing at water colors, thinking he is too old to learn to rock.